The DeNoiser Plug-In with its integrated de-hisser delivers surgical broadband noise reduction in real time. The process is based on a continual analysis of the input signal in order to build a noise profile. Alternatively use Freeze Mode to sample a section of audio containing just target noise. Simply define the threshold below which noise is removed and use the Reduction slider to taste. We understand the delicate balance between removing noise and retaining the character of your original recording, so have added a Warmth control to return some richness and added a DIFF function to audition only the removed noise. 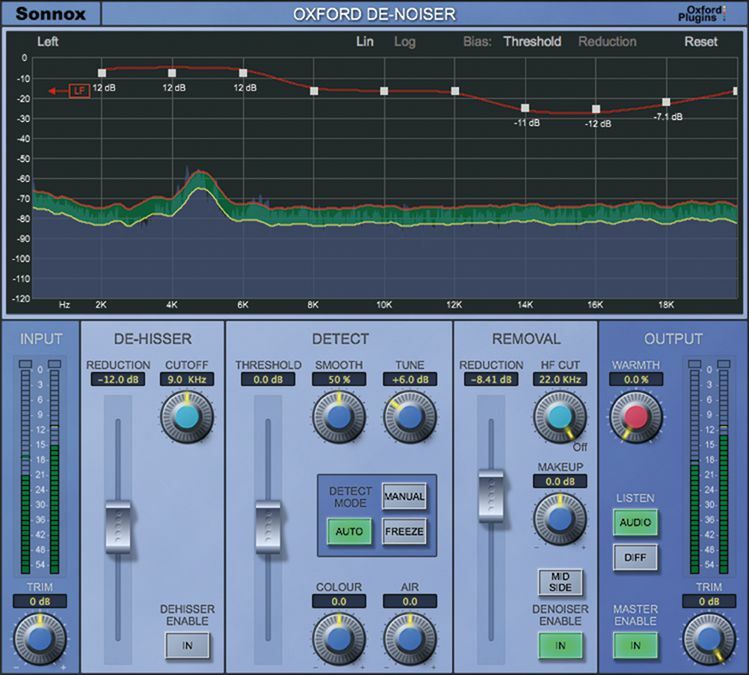 The Oxford DeNoiser does not support Avid’s TDM/HDX hardware DSP platform. This includes Venue, S3L and S6L systems. The Oxford DeNoiser is also available in the following money-saving bundles. "A high-quality audio scalpel allowing you to excise what shouldn’t be there and leave what should." "Considering the appallingly tough test I gave it, the results were nothing short of impressive." "It handled some of the toughtest tasks I gave it - impressive indeed."